Recently I read Endangered by Eliot Schrefer. 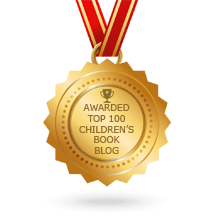 Endangered is a young adult novel about a Congolese American girl who rescues a bonobo while visiting her mother's bonobo preserve in the Democratic Republic of Congo. Civil war breaks out, and Sophie finds herself on the run while trying to protect the bonobos. The title was recently a named a finalist for the National Book Award, and it came highly recommended by a number of teacher and librarian friends. 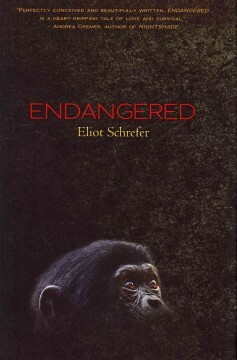 As I read Endangered, I learned a lot about bonobos and the many threats they face in the Democratic Republic of Congo. I was intrigued, so I picked up a nonfiction text to learn more about the primates. 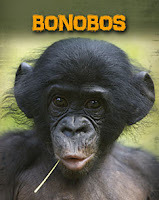 Bonobos by Buffy Silverman is a straight forward, expository text that is full of information about the lives of bonobos. The book is well-organized and begins with a look at primates in general. A diagram showing how all primates evolved is helpful for readers to see where bonobos fit into the primate family. Bonobos is chock full of information for young researchers. The book is organized into fourteen chapters; each chapter begin with a question. In the chapter entitles, What Are Bonobos?, readers learn that bonobos share 98% of their genes with humans. Bonobos are social animals and live together in groups. Each night bonobos make nests in treetops. Baby bonobos are highly reliant on their mothers for food and protection during the first year of life. Like humans, bonobos enjoy playing, and they use tools. Dozens of color photographs show bonobos in the wild; captions are used to clearly label each photo. Silverman points out the threats to bonobos in later chapters. Unfortunately, the Democratic Republic of Congo is the only country where the primates live. A decade of civil war has taken a toll on the bonobo population; many were killed for meat. Clear cutting forests for farming and mining has also had an impact on bonobos. The author leaves readers with a glimmer of hope as she highlights efforts to save the bonobo including the Sankuru Nature Reserve. 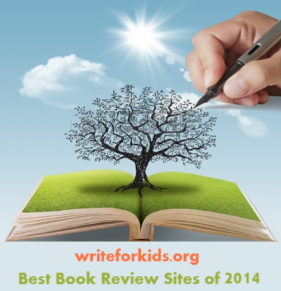 Back matter includes a glossary, index, and a list of recommended books and web sites. Students in need of print sources for research assignments should be sure to check out this series. Bonobos will also satisfy readers who wish to learn more about these amazing primates, and it would make an excellent fiction/nonfiction pairing with Endangered. Thank you for reviewing and recommending Bonobos. I'm glad you found it useful. And I'm going to look for Endangered!